When you start a new job there is a lot to take in and so much information to learn and understand. The best way to absorb it all is to pay attention, listen to others and observe what is going on around you. Your colleagues and managers will have much more experience than you and you can learn a lot from them. Developing your listening skills is an important part of improving. Ask questions, listen to what they have to say and observe what they do in their jobs. On top of this you may also want to ask for training in key areas. Listening skills are very important and you should work on developing yours. Whether it is listening to colleagues, managers or clients, it is important to take in what they are saying. Very often, you will get caught up in what you need to do or day, but listening and paying attention are the key to doing these well. Take your time to listen in the office, at meetings or to colleagues on the phone, and absorb what they are saying. 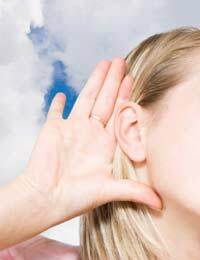 In the same way that listening can help you absorb information so can watching and observing. Whether it is a complicated procedure or just simple organisation skills, learning from your colleagues is a great way to improve yourself. Watch others with clients or in meetings, observe and pay attention to their body language to see how they interact, then try to use aspects of their skills in your own everyday work. Once you have taken the time to listen to your colleagues and observe what they do, you are likely to have some questions for them. It can be worth making a note of these as you go along so you can ask them at a more suitable time. Your colleagues should be happy to help you and their answers will give you a better insight into how they do their jobs and how you can apply this to the way that you do yours. Having taken proactive steps towards learning more about your job and the company you may feel that you are still lacking information in specific areas. This is a good time to ask for some training. Tell your manager what you have learnt by listening and observing and why you think that training is necessary. This will show that you are taking your job seriously and are willing to put time and effort into becoming better at it. Paying attention to how more experienced company members do things is a great way to learn and work on your own skills. Listen to what they have to say, watch what they do and ask any questions that you may have. If you still have areas that you are lacking after doing all this then ask your manager for training. During this process, work on your listening skills as these will be important throughout your career and help you to continually learn and develop.